These are some of my favorite wildlife pictures. Please note watermark is removed when purchasing a print or download. 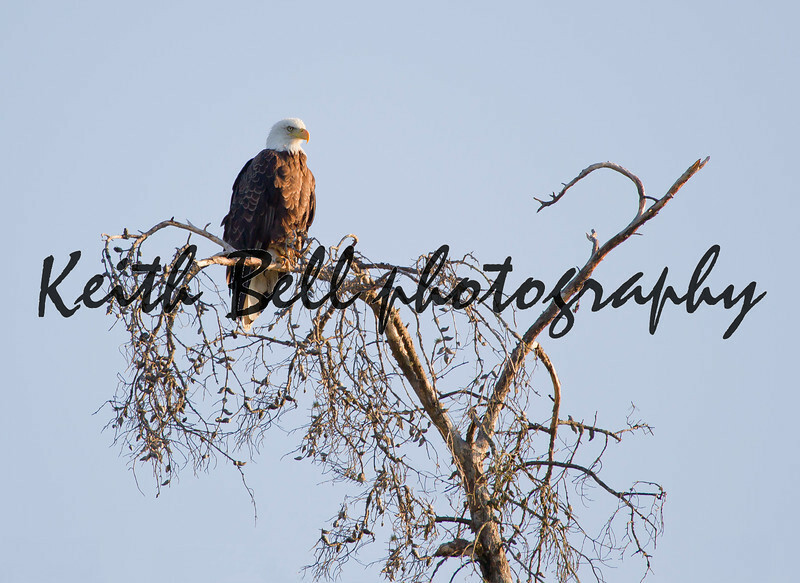 A bald eagle perched atop dead branches at the top of a tree.